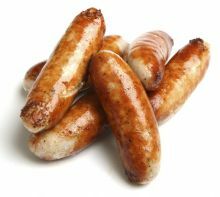 Producing the finest Quality Pork starts with having the best animals which are bred and cared for in an ethical manor. Little Oak is a family run farm on Exmoor, producing quality Rare Breed Pork. The pork is produced from the farms own Rare Breed Pedigree Middle White pigs, born and reared outdoors. We have our own breeding herd of Pedigree Middle White Pigs, which gives our customers 100% traceability of the pork we produce. Little Oak Farm is registered with the British Pig Association as an approved producer of Rare Breed Pedigree Pork, so you know you are getting the very finest quality pork. Whether we ship our pork to you fresh or frozen you can be sure it will reach you in perfect condition. 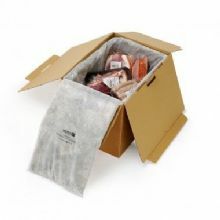 We use an eco-friendly packaging called wool cool which guarantees the pork will reach you in excellent condition. We use an overnight parcel company for all our deliveries.to ensure you get your pork delivered fresh and in perfect condition.